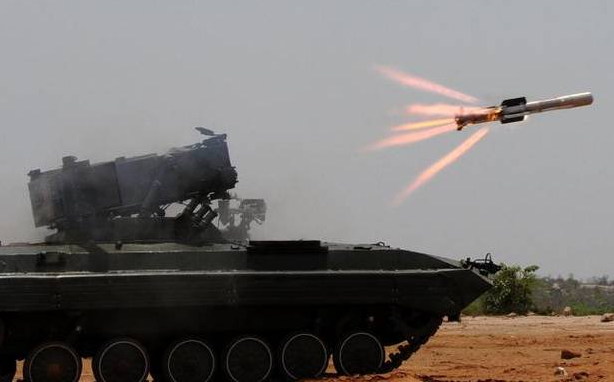 In a major relief to the Indian Army’s Infantry and Armoured Battalions, Defence Research and Development Organisation (DRDO), India’s lead defence technology developer, successfully test fired a indigenously developed Man Portable Anti Tank Guided Missile (MPATGM) system. 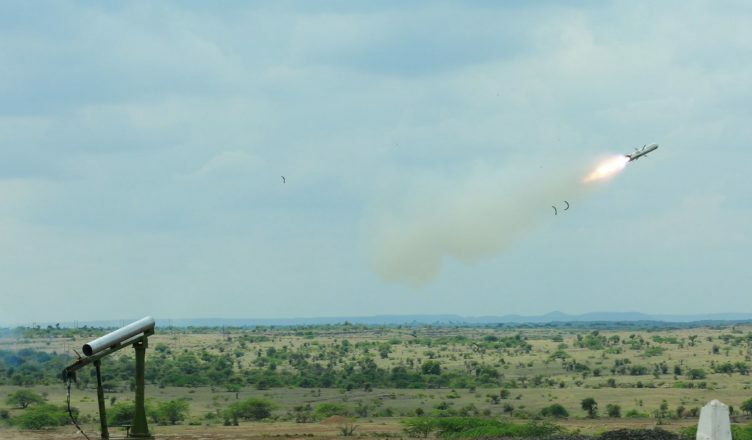 Developed by DRDO and VEM Technologies under a Public Private Partnership (PPP) agreement, the system was fired for the maiden time on September 15 at the Army’s Ahmednagar test range in Maharashtra. Defence Minister Nirmala Sitharaman congratulated the personnel of DRDO, the Indian Army and other associated industries for the successful completion of the two missiles. Developed on the lines of the indigenously developed Nag ATGM system, the MPATGM is a third-generation system with fire-and-forget capability. The system, according to DRDO, will have an effective test range of around 4 kilometers and in its standard configuration will weigh around 14.5 kilograms. The maiden test was conducted to demonstrate the MPATGM’s ability to be operated in a converse mix of operational requirements. DRDO developed Nag and NAMICA in action; Courtesy – DRDO. The Indian Army has a raised a requirement of at least 40,000 MP-ATGM systems to effectively arm it’s infantry and armoured battalions. The Army’s current main-stay systems, the Miltan – 2T and Konkurs, are obsolete and are hardly capable of engaging advanced platforms. Expectations on this indigenous systems is very high following MoD’s decision to scrap Army’s plans to acquire the Israeli Spike ATGM system. DRDO believes that system can be pushed onto rapid test phase by 2019 and to production phase by at least 2020.